Thank you for visiting the Philadelphia Council of the Navy League! We’re an organization of individuals dedicated to the full support of our great country’s sea services (Navy, Marine Corps, Coast Guard) & their families. The Navy League also supports America’s young people through its youth programs, including sponsorship of US Naval Sea Cadet Corps and ROTC. 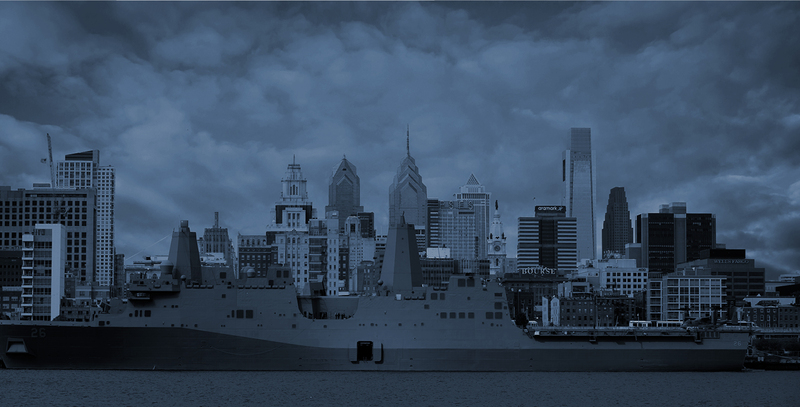 Adopting a ship allows the Philadelphia Council to provide support that will benefit the ship’s crew and families now, and into the future. Since adoption involves a continuing commitment, plans for such support must take into account our Council’s financial resources as well as the cooperation and willingness of our members. Financial support can flow directly to the ship’s MWR Fund, or the Council can make direct gifts of items or awards to the ship and/or crew members.